Additional SunFest partners include Park Proud LA, the West Adams Neighborhood Association (WANA) and Volunteers of America. SunFest 2018 will include an appearance by popular entertainer and inventor of "clowning" Tommy the Clown, and a performance by LA-based multilingual urban Latin dance theater company CONTRA-TIEMPO. Complimentary food and drinks will be provided by Sunlife Organics, Everytable, Trader Joe’s, La Barca and other local restaurants. Tickets to an upcoming home game for the Los Angeles Football Club (LAFC), the new Major League Soccer team in the NANDC district, as well several of the team’s shirts and hats, will be given away to attendees. Giveaways for attendees will also include donated gifts from Trader Joe’s, Cava, Atom Tickets and Ralphs. 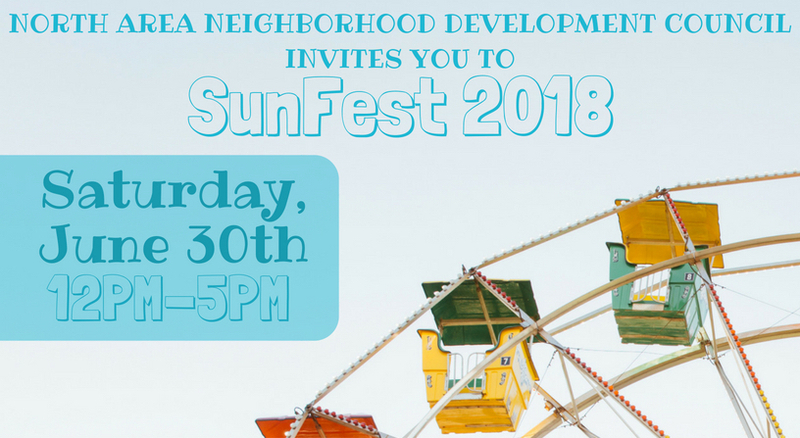 Los Angeles City participants who will also take part in SunFest 2018 include the Los Angeles Police Department, Los Angeles Fire Department, City Plants, LA Sanitation and LA Metro.